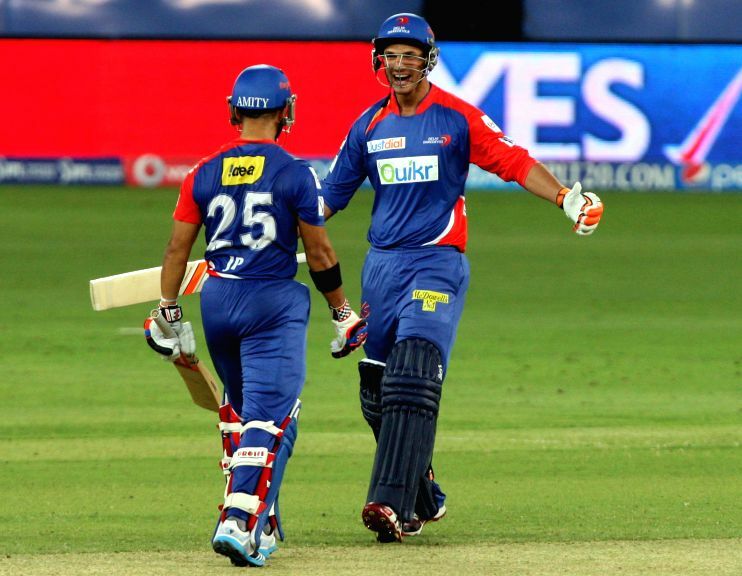 Delhi Daredevils batsmen JP Duminy and Nathan Coulter-Nile celebrates after wining the match against Kolkata Knight Riders at Dubai International Cricket Stadium on April 19, 2014. Delhi Daredevils batsman JP Duminy in action during the match against Kolkata Knight Riders at Dubai International Cricket Stadium on April 19, 2014. 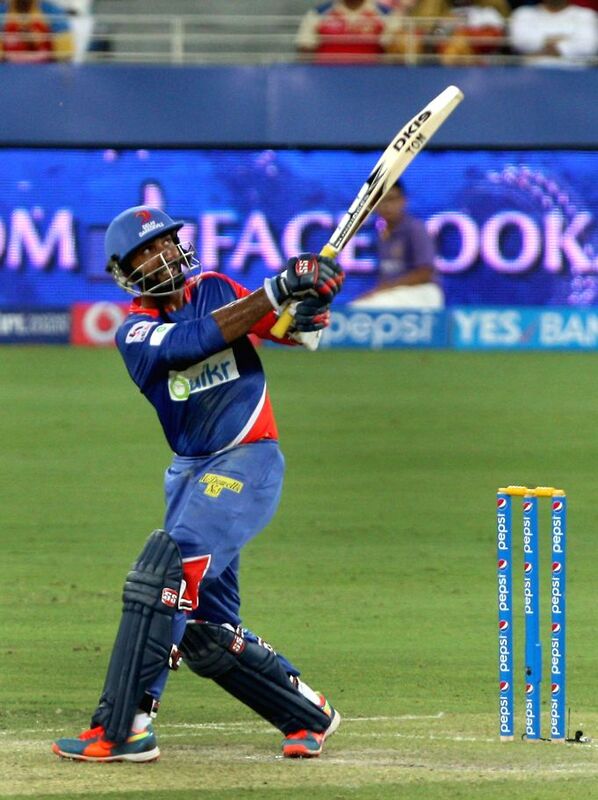 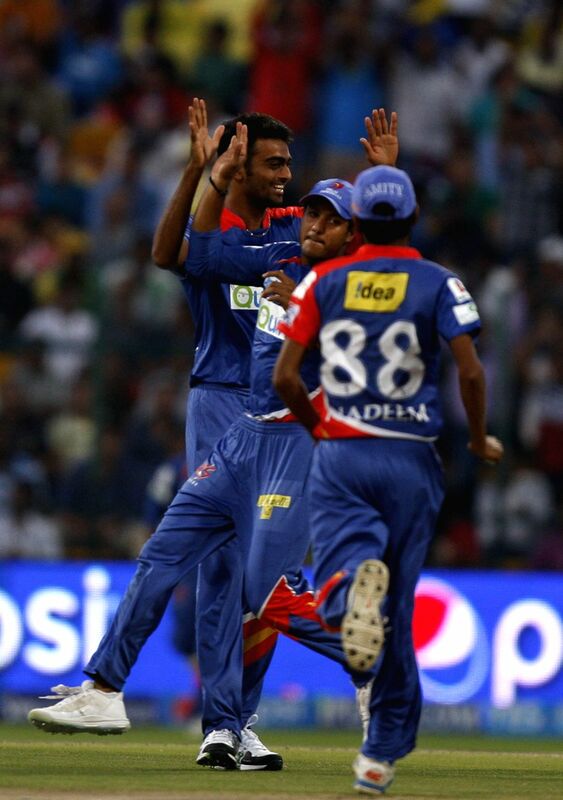 Delhi Daredevils batsman Dinesh Karthik gestures after scoring a half century during the match against Kolkata Knight Riders at Dubai International Cricket Stadium on April 19, 2014.